The quick brown fox jumps over the lazy dog. A memory of a sentence written in dusty white chalk on our classroom blackboard continues to be etched in my mind. Had it been a different class from a different year of my schooling, perhaps I may have said “a blackboard in the front of the room,” however, this room was unlike others that I had known. Our fourth grade teacher, Mrs. Buttery, had purposefully arranged our individual desks into one large, open rectangle, so for us the room never had a front or a back or a “good sea” or a “not-so-good one.” I’d imagine we were known by others as quite the chatty group, but Mrs. Buttery loved us just the way we were and welcomed our conversations and laughed and dreamed right along with us. I still can picture her as she walked around the perimeter of our room–always moving and always smiling. Each day, she wore long, flowing skirts that would nearly touch the floor which at the time gave me this illusion that she was almost floating. This day, as she spoke, our attention was directed to this fascinating sentence: our task was to solve this puzzle of sorts through an inspired process of inquiry and exploration of thought. And our room, as it was so often, was alive with ideas. As to be expected from the literal minds of nine- and 10-year-old children, we narrowed in on the nouns of the exercise and on possible explanations for why this dog was being so lazy and reasons of what might be causing this fox to be filled with such energy. Through scaffolded questions and gentle guidance, we finally found what made this sentence so special and unique – the letters. All letters of our English alphabet represented. In one sentence. For me, a child that loved words and letters as if they were my friends, this was magical. That impressionistic lesson was one of so many that year in Mrs. Buttery’s class that would simply stick. Each day that we entered her classroom – our classroom – we knew she would share a new adventure with us. With stories of distant cultures and studies of maps of lands old and new, a whole world beyond our chatty little class on the Gulf Coast of Florida was opening up. Later that same year, I learned of Africa. Not the type of learning I experienced before, where Africa was a simple item in a memorized list of continents. By that point, I had lists of lists of information I had learned by rote – planets and state capitals and food groups. This new learning brought me to a place of wanting to not just learn, but to know. Noticing this new interest of mine, Mrs. Buttery brought me books and newspaper clippings, and I soon came to understand of the incredible challenges that were being faced by many African children. This new learning brought me to a place of wanting to not just learn, but to know. It never really occurred to me that I was learning of the struggles of the people of Africa, but rather that I was learning with them. How could a child just like me – simply born in a different place on our planet – not only be without schools with books and blackboards but, more troubling, without access to medication and water and food? Doorways leading to teachers that invited wonder and discovery simply were not part of the days of many of these children. And so, with a teacher who told me to keep going and parents who always inspired me to think bigger than myself, I set out to do anything I could. I shared with anyone that would listen about the conditions for children in Africa at the time (now known as the 1985 Famine of Ethiopia), and I worked to collect as many coin and dollar donations as I possibly could. After months of collecting money and a constant play-rewind-repeat of “We Are The World” (my self-selected theme song), I delivered my little-but-big-to-me $300 of funds raised to the Red Cross. 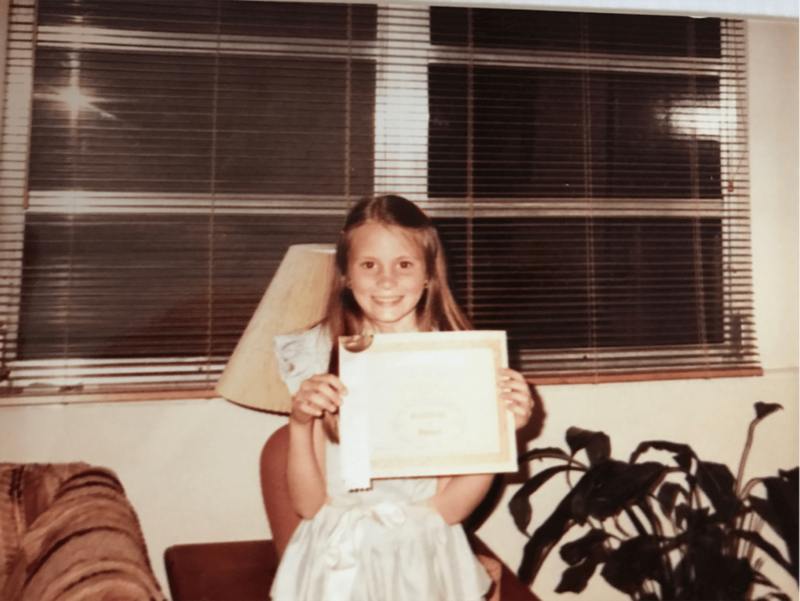 Jennifer as a 4th grade student receiving an award. 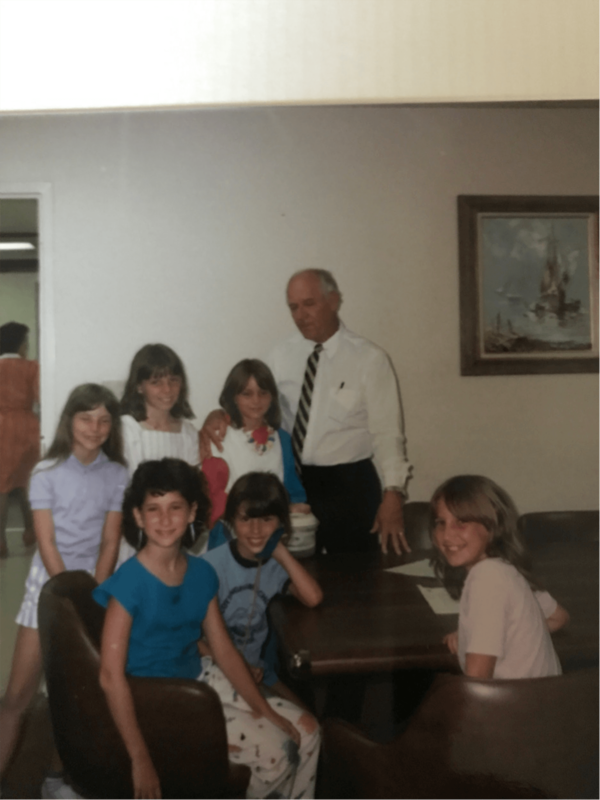 Jennifer as a 4th grade student delivering a donation to the Red Cross with classmates. Today, as an educator looking back, I now clearly see the signpost moments in my life and the way my experiences in education shaped me as an educator – and as a person. With teachers like Mrs. Buttery who inspired and empowered our ideas as students, and offered us safe spaces to explore new worlds beyond our own, education opened up pathways to let us each mold and design our own futures. My journey since those days in 1985 has continued to follow a dedication to seeking quality education for all. I have found my tribe of other globally minded educators who, like me, see all the world’s children as their own. The United Nations’ Agenda for Sustainable Development, for me, delivered the precise blueprint for how to meaningfully and effectively connect lessons and students to the world. Though all 17 goals are the responsibility of each of us as global citizens, I feel it is Global Goal 4 that provides the context and space for us as educators to join in this important conversation, and take action on our world’s collective agenda for people and planet. It is this bold goal, ensuring equitable access to quality education for all, that enables us as teachers to help lift the passions and dreams of all our students by not just opening doorways, but also by building them. Jen presenting at the Global Education Day Brunch, ISTE 2017. Through Global Goal 4, represented on the SDGs color wheel by a valiant, dark red, I believe that teachers of the world can come together in solidarity to help rewrite the “stories of possible” in our global communities, where students can focus not on concerns of seeking out quality learning or meals or water, but instead can simply explore puzzles of energetic foxes and lazy dogs and dream with chatty classmates on stories that seem filled with wonder and magic. I have hope. 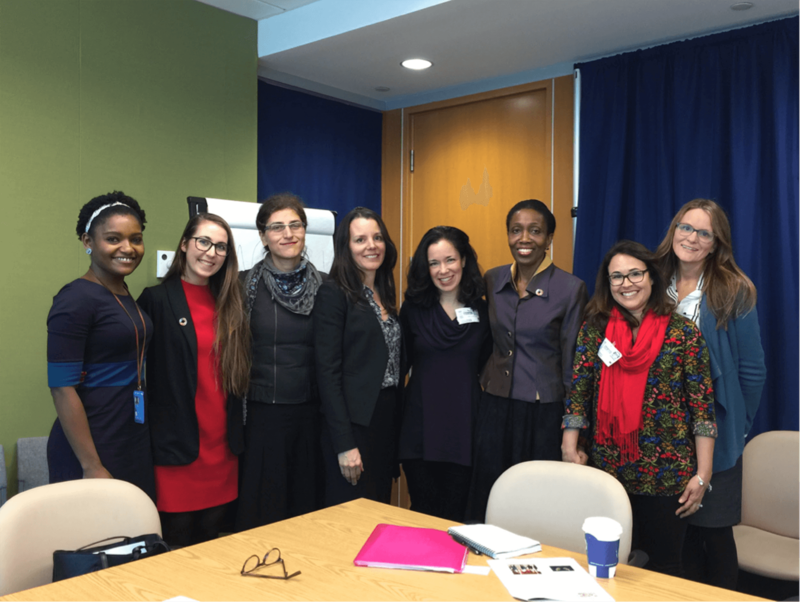 Jen and the United Nations’ Global Goals Educator Task Force during a meeting with the UN in New York City. To learn more about SDG4 and ways in which you as an educator can take action and support quality education at local and global levels, be sure to check out Participate’s free mini course. 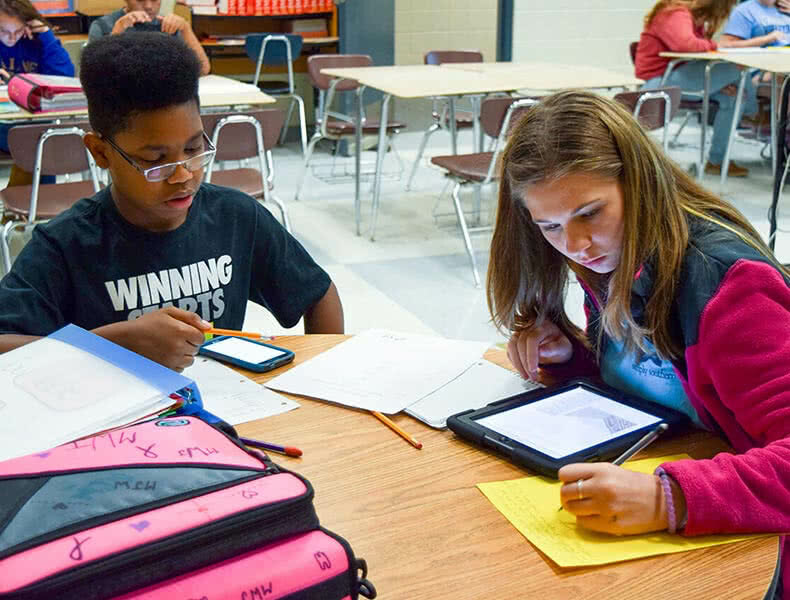 Dr. Jennifer Williams is a globally minded educator that works with classrooms of the world to connect learning and experience through meaningful uses of technology. She is a professor for Saint Leo University and serves on the Board of Directors for the International Literacy Association. As an advocate of teacher empowerment and collaborative forms of PD, she champions teachers to create their own professional paths through participatory learning activities, such as Edcamps, Twitter chats, and micro-credentialing. 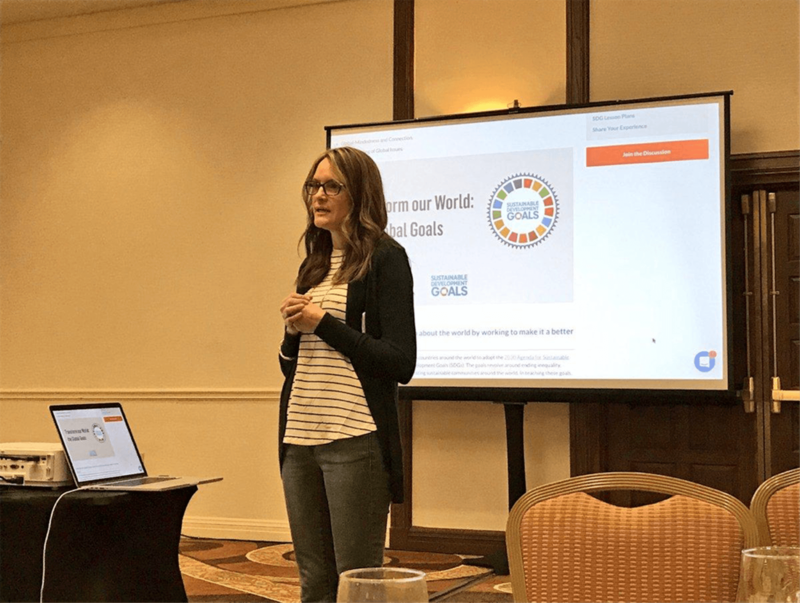 Jennifer is on the Executive Team for the United Nations’ Global Goals Educator Task Force, and she is a Participate Connected Educator, Microsoft Innovative Educator Expert, and a contributing author for Edutopia, Education Week and Getting Smart. She’s inspired everyday by teachers and students that are catalysts for making the world a better place! You can connect with Jennifer on Twitter at @JenWilliamsEdu.